Last week I was at Winston's Wish's new offices on the Royal Crescent in Cheltenham. Off the success of my other photo shoots with them they were keen for even more photos to use across their online marketing and media platforms. On my arrival I was welcomed into the reception area where I was delighted to see many brochures covered top to toe in my pictures. 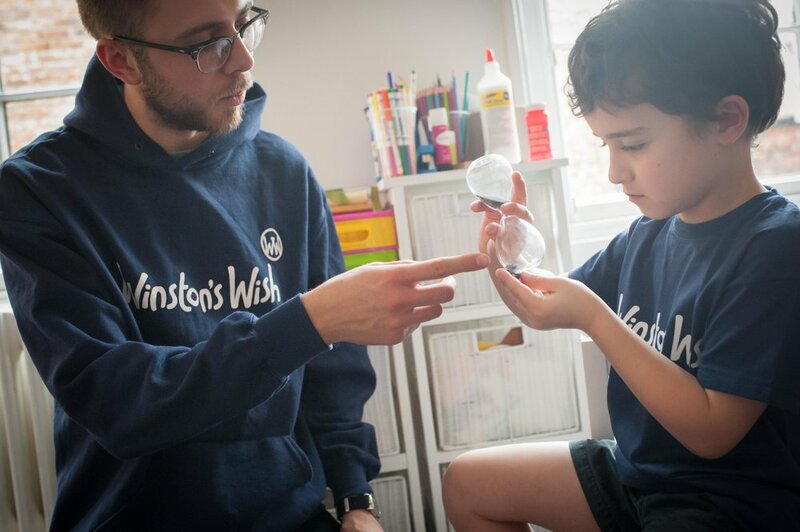 Winston's Wish holds a special place in my heart for personal reasons and I felt very proud to see that my photos were making a real difference to this worthy charity. The children arrived and they spent the morning playing in one of the new counselling rooms. The aim of the shoot was lots of reportage pictures. There was plenty to keep them entertained. From a sand table, to craft and musical instruments, the room was soon filled with lots of laughter and joy. I don't ask for any fee for charity work. If you run a charity and are in need of some professional photos then please do get in touch with me. Either drop me an email using my contact page or give me a call on 07983 465414. Thanks!